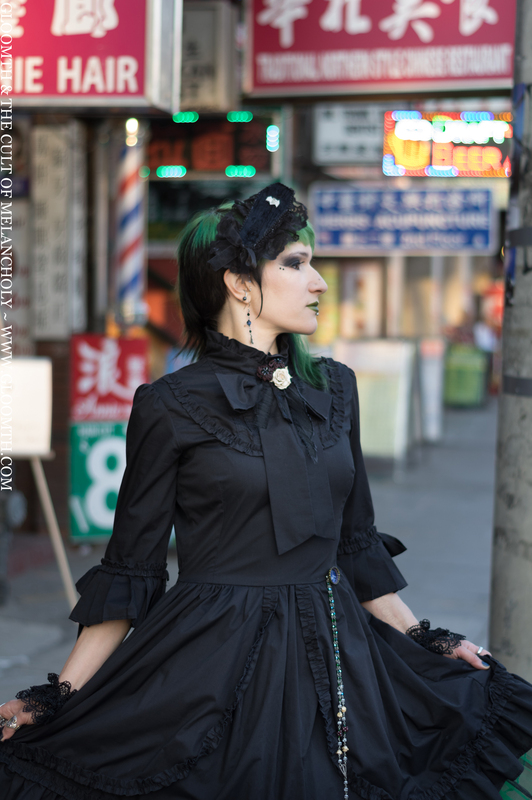 We recently headed to the heart of the city and downtown Toronto’s Chinatown and Kensington Market for a photoshoot! 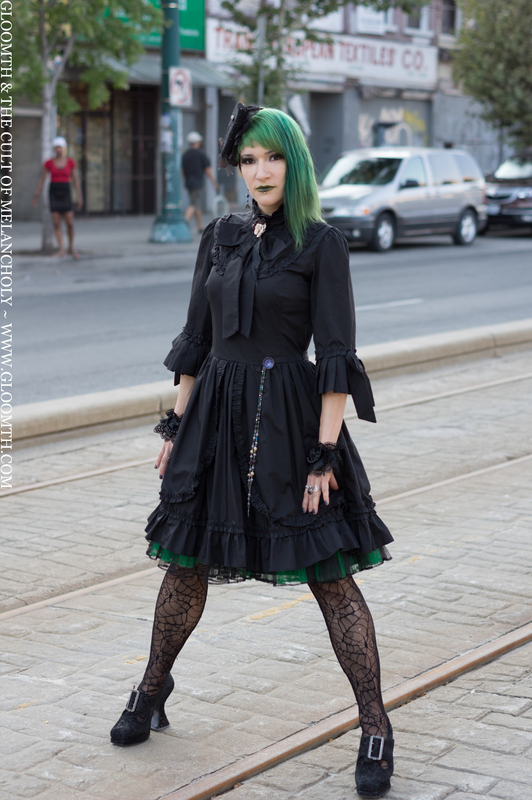 The amazing Mistress McCutchan wore our “Sorrow“ dress in black with a green trimmed underskirt, and pieces from her jewelry line- That Green Haired Chick! We spent a few solid hours wandering (and giggling) among the crowds snapping photos and exploring. It was a great day and the results from the shoot are really outstanding! 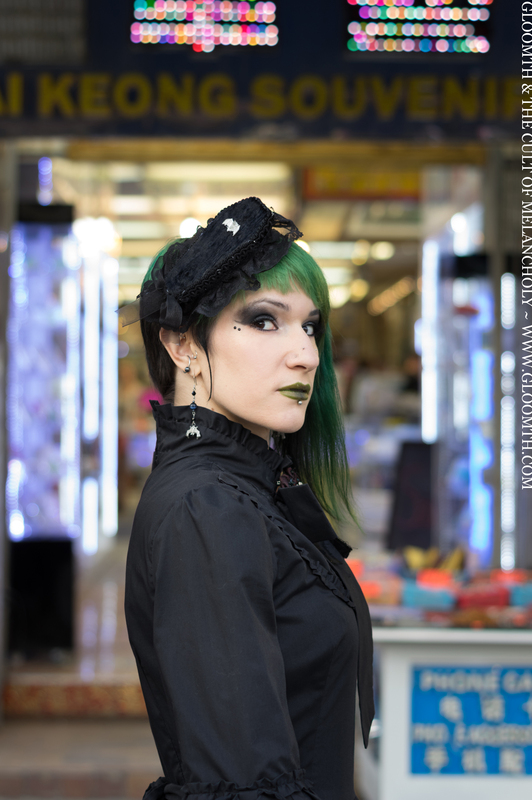 Thank you so much to Russel Hall (our photographer) and to Mistress McCutchan for modeling with us once again. :)!